A great article from my old Alma Mater (kidney-transplant-wise that is), The Cleveland Clinic. Only a few foods and other substances are completely off limits after a kidney transplant, but avoiding them is really important. Some foods, drinks and over-the-counter drugs can hurt your kidney function and put you at risk for complications. Remember that some dietary restrictions often depend on your progress. They can sometimes be necessary after a kidney transplant, on a short- or long-term basis, says Richard Fatica, MD, Vice Chair of Nephrology and Hypertension at Cleveland Clinic. If your transplant is functioning well, you’ll have few dietary restrictions, but you’ll need to learn about possible interactions with transplant-sustaining drugs. If your new kidney is not doing well, dietary recommendations are likely similar to those for chronic kidney disease (CKD). 1. Avoid infections. In the first 90 days after surgery, your immune system is highly suppressed. Having a weakened immune system puts you at high risk for infectious diseases. Your doctor will likely advise you to avoid close crowds (church, public transportation, fairs and festivals) where contact with an infected person is more likely. When you do go out, be sure to wash your hands frequently — either with soap and water or with sanitizer — and stay away from people who are ill. Make sure you practice basic good hygiene in general. 2. Stay hydrated. One of the keys to a successful recovery is staying well-hydrated. Drink plenty of water — typically 2 liters (about 68 ounces) — per day. It’s also a good idea to limit caffeine. It’s a weak diuretic and contributes to dehydration. 3. Don’t eat raw or under-cooked foods. With your weakened immune system, eating raw or under-cooked foods — specifically undercooked meat or undercooked eggs — at any time after a transplant puts you at risk for severe intestinal illness. 4. Focus on protein. Eat a well-balanced diet with a few special dietary considerations. Protein is especially important to help build muscle and recover lost weight. Your doctor or a dietitian can help you figure out how much protein you need. It is possible to overdo it, however. “In order to avoid excess protein consumption, we do not typically advise you to take protein supplements,” Dr. Fatica says. 5. Avoid grapefruit and grapefruit juice. Anyone taking drugs which suppress the immune system should avoid these fruits because they can cause a strong reaction, says Dr. Fatica. 6. Don’t take nonsteroidal anti-inflammatory drugs (NSAIDS). Some very common over-the-counter (OTC) drugs, including ibuprofen and naproxen, can cause kidney dysfunction. 7. Skip on antihistamines and antacids. Other common OTC drugs sometimes affect other drugs or change absorption, so you should discuss possible alternatives with your doctor. 8. Avoid certain vitamins and herbal supplements. St. Johns’ wort, schisandra, and some herbal teas and other natural supplements interact with transplant medications. Using them can put you at risk, Dr. Fatica says. It’s always a good idea to ask your doctor about known interactions before taking any herbal product or OTC drugs. Check with your doctor about any other restrictions for your specific case or stage of disease. What symptoms should you watch for after a kidney transplant? For the long term, your team will monitor your progress with regular laboratory work. Your doctors will likely ask you to manage and keep track of your blood pressure and weight. Watch for any signs of swelling that might signal problems with your transplant. Also pay close attention to early signs of infection, including fever, chills, cough, abnormal pains and diarrhea, and discomfort in the kidney area or while urinating. From The KAS Team : If you’d like to know how Paul made his kidney transplant last 27 years strong click for more info. Get Your KAS Package Today! Ever wonder how to make your kidney transplant last as long as possible? So did Paul. After 27 years and becoming a professional extreme athlete he's figured out some incredibly important factors and wants to share them with you. 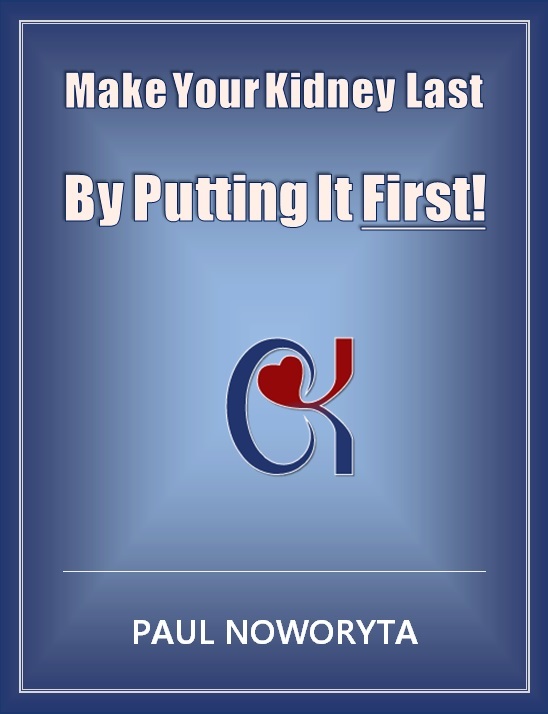 His 40 page booklet details everything you want to know about extending the life of that kidney. Get Your Copy Today! DISCLAIMER: THIS WEBSITE DOES NOT PROVIDE MEDICAL, FITNESS OR NUTRITIONAL ADVICE. The information, including but not limited to: text, graphics, images and other material contained within this website/document/file/book/record are for informational purposes only. The purpose of this website/document/file/book/record/ is to provide my personal experience as to what has worked for me and only me regarding my understanding and education of extending the life of my transplanted kidney. It is not intended to be a substitute for professional medical, mental, fitness, nutritional advice, diagnosis or treatment. Always seek the advice of your physician or other qualified health, fitness or nutrition care provider with any questions you may have regarding a medical condition or treatment and before undertaking a new health care, nutritional, or fitness regimen, and never disregard professional medical, mental, fitness, or nutritional advice or delay in seeking it because of something you have read on or in this website/book/document/image/graphic/publication/record.